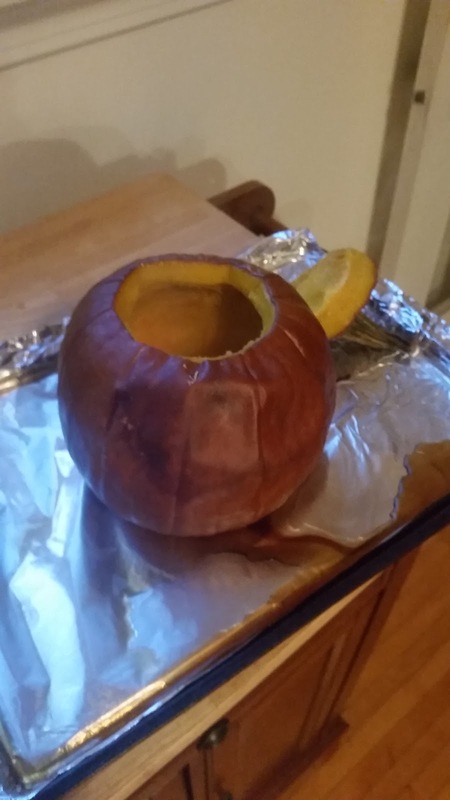 Heat oven to 400 F. Cut a lid off the top of the pumpkin in a zigzag pattern. 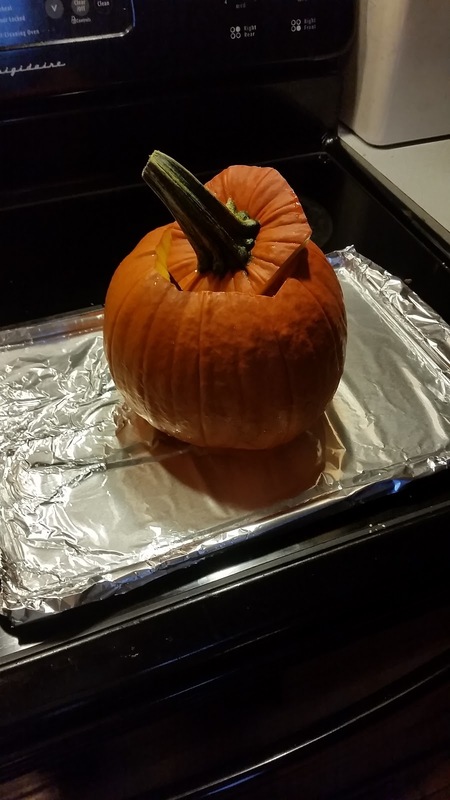 Clean pumpkin of seeds and stringy interior, replace the lid, and bake on a roasting dish or deep baking sheet for 1 hour in about an inch of water. Remove the pumpkin from the oven and let it cool. Once cool, coat the inside with the mustard and brown sugar. While the pumpkin is baking, heat the olive oil in a skillet over medium heat. Add onion, celery, and apple and cook until just softened. Remove the skillet from heat and combine contents with remaining ingredients in a medium bowl. Stuff meatloaf mixture into pumpkin, leaving an inch of space at the top. Place the lid on top and bake tat 400 F for 1 hour. 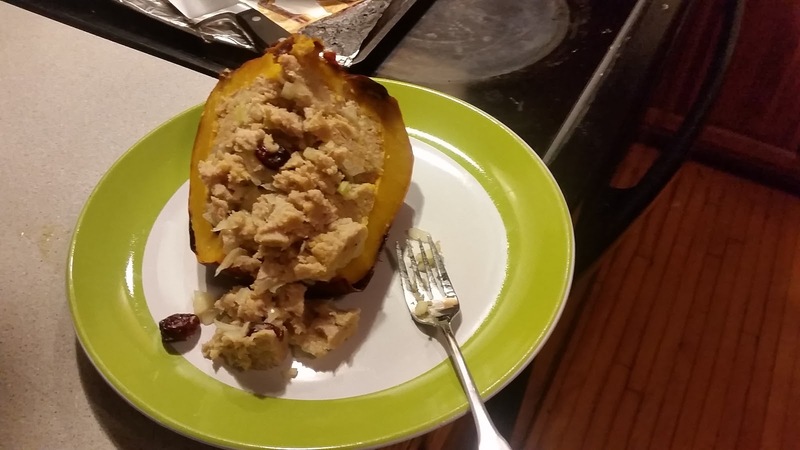 This entry was posted in Member Stories, Recipes, Volunteer and tagged meatlof in a pumpkin, pie pumpkin, turkey meatloaf by Jennifer Moore. Bookmark the permalink.